Each DVD is almost 8GB of pictures, notes, videos, newsletters, and publications. There are thousands of pictures showing finished aircraft, construction, and system installations. All of the Mustang newsletters from 1968 to the present are included. Builders references such as the FAA AC 43.13-1B A&P Handbook, and FAA flight test and inspection manuals are on the DVD's. 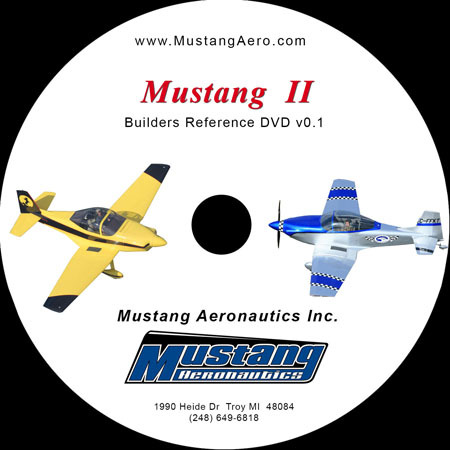 Because of the amount of data there are now 2 different DVDs, one for the Midget Mustang and one for the Mustang II. 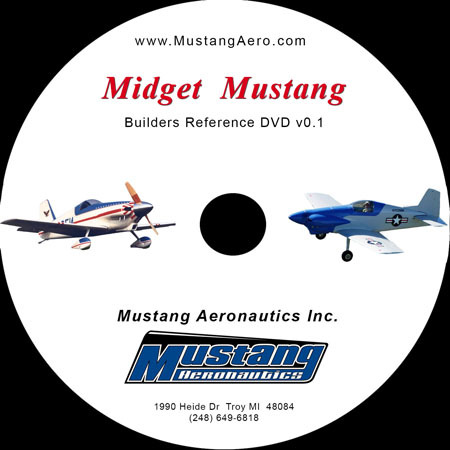 The Midget Mustang DVD does have some Mustang II data and vice versa, especially in areas that have similar or identical construction. Tags have been added to most of the pictures to enable searching by topic such as “fuselage”, “canopy”, parts numbers, etc. The DVD’s are a compilation of data that we have acquired over the years, mostly from builders. Many of these builder's pictures show changes from the plans. Some of these changes are good ideas but the builder must be careful as there is no such thing as a "simple change". We do not recommend any changes from the plans. THE DATA ON THE DVDs ARE GIVEN AS REFERENCE INFORMATION ONLY AND ARE NOT TO BE USED AS A BUILDERS MANUAL OR OPERATING MANUAL.